Locksmith Problem? We Are Here For You! Highgate Security and Locksmith NY representatives are available at any time to help you with any questions, concerns or problem. All our customers have spread the word regarding their satisfaction among their social and professional circles and this has increased the popularity of the company by leaps and bounds. We give you a 45 days warranty on all our work, so always you can be sure that you have someone to turn to! Our doors play a vital role in our home, in fact, one that we may take completely for granted until something goes wrong with one of them that is! From welcoming us in after a long day at the office to waving goodbye to good friends, creating a quiet place in our home and separating play from work, our doors are responsible for a lot more than we ever give them credit for. However, at times, our dear doors are in need of a little tender loving care. That’s right, with so much use and abuse we really can’t blame our doors for turning to us for a helping hand every now and then. If you find yourself in such a situation it is vital that you choose a great door repair service that knows how to do the job right. Otherwise, you could end up with a door that is in a worse state when they finish than from before they begin; not exactly your end goal! 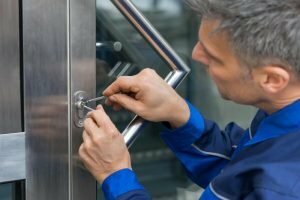 So, what should you look for in a commercial door repair service and how does High Gate Locksmith NY shape up? Let’s take a quick look. We all know that you rarely get something for nothing in this world. In addition, while many people may think that cheap is cheerful, in reality, cheap tends to mean inefficient, poor quality and at times a dangerous finish. 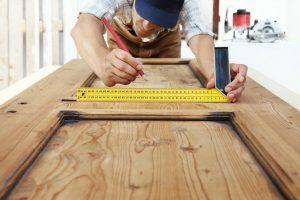 When it comes to commercial door repair service, while you certainly do not want to pay over the odds, you also do not want to fall into the trap of opting for the cheapest service you can find. Usually, you will find that you get what you pay for and within a short period of time you will end up looking for a better service to fix the poor workmanship of the first choice. In other words, you actually end up paying a lot more for the repair than you would have done had you made a good choice in the first place! One balance which High Gate Locksmith NY has worked hard to achieve is that of providing quality performance, while also coupling this with fair prices. 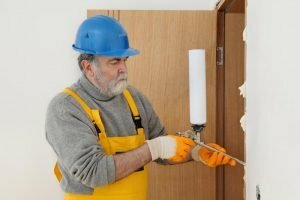 We understand that few people have money to spare these days and door repairs which may have arisen without expectation and hence are unplanned for, can end up causing a lot of stress and financial concern. That is why you will receive workmanship which is of high quality, matched with a price which is reasonable for the work carried out. Of course, a company can make all the wonderful claims in the world about how fabulous they are, however, what really counts is what their clients have to say about them. That is why we recommend that you always opt for a company which has already proved its worth by gaining an abundance of great reviews from previous and current clients. By choosing such a company you are already investing in a service which has proved itself to be successful. Let’s take a look at how High Gate Locksmith NY measure up on this front. 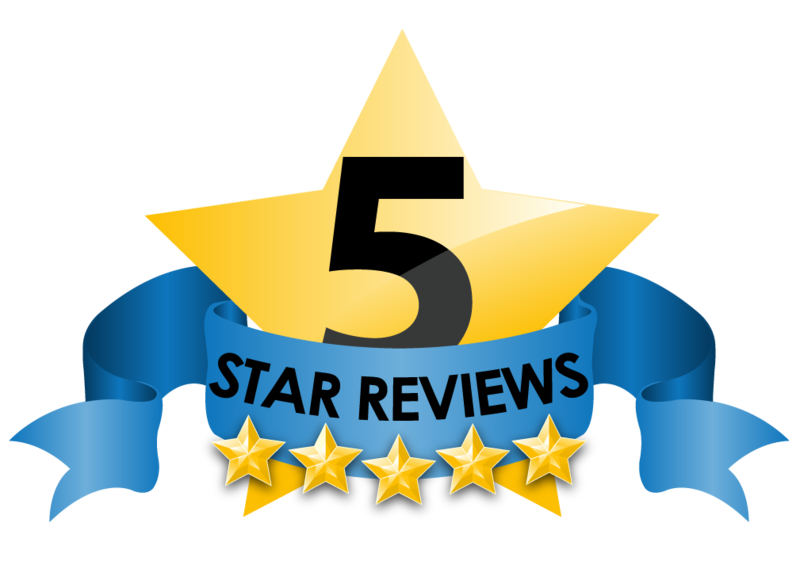 Receiving a 5 star review means that the client has been fully satisfied with the work provided; it is quite the achievement, to say the least. We are proud to say that our clients have bestowed such reviews on us. We do not want our clients to feel the need to turn to another service in the future for their needs, that is why we work to create client relationships that are built to last. We want you to become one of the family, so to speak, after all, that’s what a commercial door repair service is for! How does this translate to your need for door repairs? For one thing, here at High Gate Locksmith NY we know that doors come in many shapes and sizes. Take wooden doors, for example. With an appealing appearance, a sense of bygone days and customized patterns, wooden doors are a popular choice among homeowners of all types. Of course, if you are looking for a new door, high Gate Locksmith NY are ready and at your service to provide you with something that will suit your property perfectly. However, if you already have a wooden door that is starting to look worse for wear and perhaps does not provide the security to your home that is required, we are the people to call. We understand the makeup of wooden doors, their design, their strength, their weaknesses; this is the type of thing that we eat, breathe and sleep. This means that whatever tlc your wooden door is in need of, we are happy to be the ones to deliver on it. Of course, not all doors are wooden, many interior doors are made up of various materials, as well as French doors, glass doors and the list goes on. In fact, it’s not just homeowners that we can be of assistance to, stores and shops, of course, need doors, both externally and at times internally as well. We understand that these door types often vary from home doors, both in their appearance and their requirements. Whatever the issue happens to be, we are at your service to discuss the problem and work out the best way to repair it. Indeed, doors play a vital role in our lives, even if we have never actually stopped to think about it before. Whether you own a property, run a shop or have a role to play in another building, we hope that your doors are all in tip-top shape. However, if you have noticed that some of them are in need of repair or service, please do not hesitate to give us a call. Indeed when it comes to a great door repair service who is passionate about what they do, here at Highgate Locksmith NY we know exactly how to fit the bill and even exceed it. Installing a new commercial door requires patience, professionalism, and the ability to remain creative. Highgate Security & Locksmith is a well-regarded company in New York and has earned rave reviews for its commercial door installations. Property owners looking to install a new door will want to call this team for a detailed consultation. With professional specialists, proven materials, and a commitment to excellence, there is nothing better than a guaranteed result. Here is more on what makes Highgate Security & Locksmith a reputable service. With any commercial door install NYC has to offer, it’s important to look into the finishing and how the door looks at the end of the job. 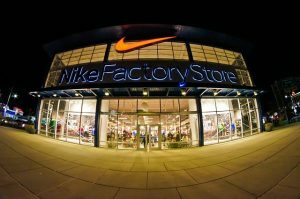 This is one of the most reputable companies in the state and is well-regarded for its finishing. Having helped thousands of commercial clients, the team is more than willing to help with the finer details and make sure the door looks wonderful from all angles. The finishing is always going to be exceptional and that is one of the man reasons to go with a seasoned company. Everything will look stable, beautiful, and robust. This is a wonderful opportunity to choose a team that does things properly! Don’t want to wait around for the new door to be installed? There is nothing worse than installing a solution that is inefficient, wasteful, or isn’t going to lead to positive results. This is the charm of being able to work with a qualified professional that has a good feel for what commercial doors should look like. Each project is going to be handled based on a set timeline and this will be confirmed with the client in advance. Highgate Security & Locksmith is a company that is detail-oriented and makes sure to go the extra mile when it comes to deadlines. As soon as the project begins, it will follow a predetermined timeline and that is a guarantee. One of the main reasons to trust this team has to do with its proven track record. Having been in the area for years, it is a company that is passionate, committed, and ready to help at a moment’s notice. New commercial door installations are all about the details and understanding what needs to be done based on local regulations. If these regulations aren’t followed, the new door isn’t going to look as good as it is supposed to be. Speak with this team and get the best commercial door install NYC has to offer as soon as possible. The team is housed in the area and has been working for years to help New York clients. Anyone looking to set up a commercial door will want a local team to come in and do the work. These specialists have a feel for what needs to be done and how to follow local regulations to a tee. Clients are able to sit down with a specialist in minutes and have someone within reach at all times of the day. This is the beauty of going with a local team that is ready to help and is going to be close to home. For those looking to find a world-class commercial door install NYC has to offer, it has to begin with the quality of the doors. 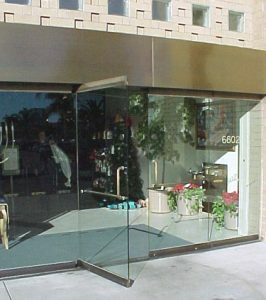 A commercial door is going to be put through a lot during the day and it needs to handle the rigorous use competently. To make sure that is the case, Highgate Security & Locksmith takes the time to test all of its materials and only installs doors that are worth it! These doors have been able to handle rigorous use in the past and are going to do the same for new clients. This is backed by a warranty to ensure clients feel confident in what is being sold to them. Along with the high-quality materials used during new installations, this company also takes pride in offering detailed preventative measures too. These measures are going to help keep the door safe even as it is put under tremendous pressure throughout the week. In a commercial setting, it is important to have a door that is smooth, safe to use and isn’t going to break down as soon as someone yanks on it. Instead, these doors are able to take it all! Once it is time to get started on the best commercial door install NYC has to offer, it is important to speak to a qualified representative. Call in and have a professional help out with the initial consultation. The consultation is going to be thorough and will take a look at what needs to happen for a positive finish. As soon as the consultation is complete, it is going to be followed by a comprehensive quote. Please note, this quote is a no-obligation offer and is dependent on what the client is looking for. If accepted, the team will start as soon as the timeline is established. The installation is going to be done in detail using world-class methods. The specialist will take the time to assess where the door is going to be placed along with how it should be sealed into place. To do this the right way, multiple tests will be done based on the specialist’s expertise. This will help determine how to do things properly and where the door is going to last for years to come. This is essential in a commercial setting and is something the company takes seriously. Highgate Security & Locksmith is ready to provide assistance to all commercial property owners and all it takes is a simple phone call to (212) 860-5411. Clients are more than welcome to inquire about a detailed consultation and a representative will be sent in to take a look. This is the best option in New York and is the ideal solution for those looking to set things up for the long-term. Each door is going to be installed professionally and that’s a promise!